Want more kale in your life? This easy-to-make salad, with its peach slices and raspberry dressing, is a delicious way to do it! 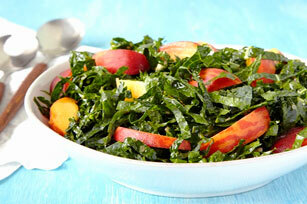 Toss kale with peaches in large bowl. Prepare using Kraft Mango Chipotle Dressing.